It’s beginning to look a lot like Christmas!!! I’ve had a few enquiries about Nativity Plays etc. With that in mind I have decided to blog about some of my favourite Christmas resources. I’m sure that they would make a fantastic addition to your classroom!!! It’s Christmas David by David Shannen is one of my absolute favourite Christmas themed book. It is part of the “No David” series of books. Guaranteed to have your class rolling around the floor in hysterics. It’s the top of my “must buy” Christmas list. Click here to purchase It’s Christmas David. If you would like to tie It’s Christmas David into your Writer’s Workshop or Aistear theme then this printable might be right up your alley! I recently added the following to my arsenal: Christmas: a language theme for the early years is a fantastic resource for Senior-First class. It says 5-6yrs on the cover but I feel that most activities are a little too challenging for most Junior’s at this time of year. If you teach Senior -1st then the book would be a good value investment. They would really be able to sink their teeth into the creative writing aspects of the book. It would be a great resource for Literacy Lift Off or Aistear either. If you purchase by midnight tonight, 30th November you can avail of Prim-Ed’s Cyber Monday deal. Don’t forget to use the code: Black40!!! I find myself using even more stickers than usual at this time of the year. I find it very hard impossible to resist Christmas themed stickers!! While you are adding the Christmas Prim-Ed book to your shopping cart why not pick up some stickers too? Prim-Ed may not spring to mind when you think of stickers. They have really diversified their sticker collection this year and are well worth a purchase. They have some super cute Christmas themed ones. I could easily stock up for the rest of the year and avail of their free shipping for over 25Euro. Click here to explore Prim-Ed’s sticker range. The Gingerbread Man is a timely read and always plays a big role in my thematic planning for Christmas. Here a lovely Maths themed unit for you to spruce up your Gingerbread Man unit with. The printables that come with it are just darling! The Mailbox have it nailed! Colouring Sheets are another vital survival tool for the month of December. I never seem to want to use the ones that I downloaded last year. Anyone else have the same affliction?! Here are a few to add to your collection if you are itching for some new ones! These are from Oriental Trading. How I wish that they had a European base so I didn’t have to deal with importation taxes…. Click here for a link to Oriental Trading Learning Christmas Themed colouring sheets. I hope that you all find something nice to update your Christmas themed units with. As promised here is the next checklist to add to your Jolly Phonics collection. 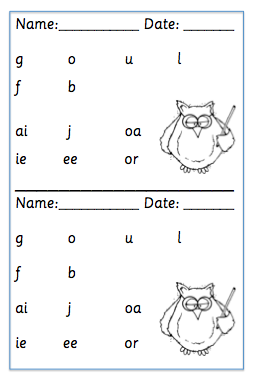 This Jolly Phonics checklist features the sounds in sets 3 & 4 of Jolly Phonics sounds. 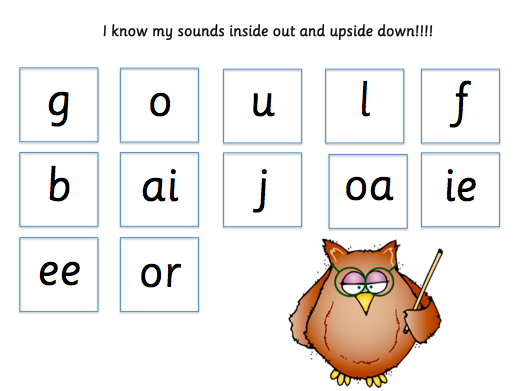 Click here to download my Jolly Phonics Checklist. Can you show me “huh”? 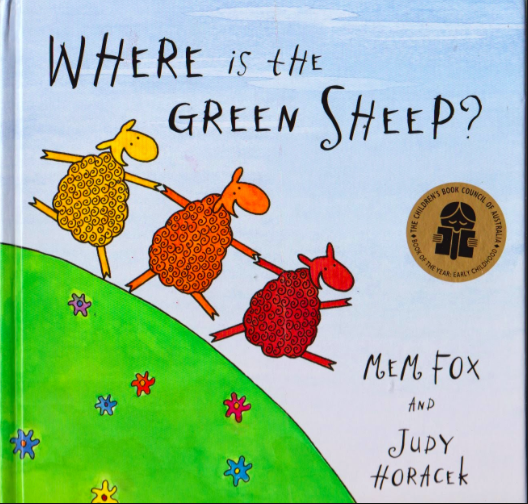 Coming in a number 2 is “Where is the Green Sheep”. Many thanks to my good friend, Brooke, for gifting me this one. Click here to purchase from Book Depository. 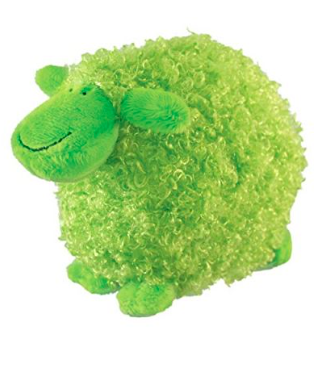 I also have a this cute, fluffy, green sheep to accompany the story. It would be a lovely stocking filler to accompany the story book! Click here to purchase from Book Depository. 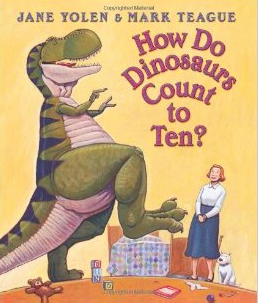 Coming in a number 3 is “How do Dinosaurs Count to Ten?”. 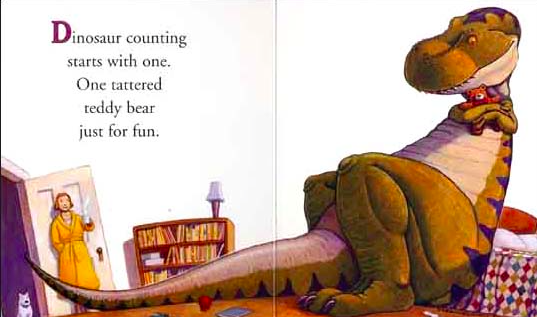 This is a really lovely way to introduce your child to counting from 1-10. It’s chock block with dinosaurs making it, dare I say it, “boy friendly”. I’m by no means implying that girls won’t like this book. They certainly will. It can, however, be tricky to find books that entice boys to read. This one certainly will. Hope I’m not in trouble with this one!!! Click here to purchase from Book Depository. Coming in a number 4 is Polar Bear, Polar Bear, What do you Hear? 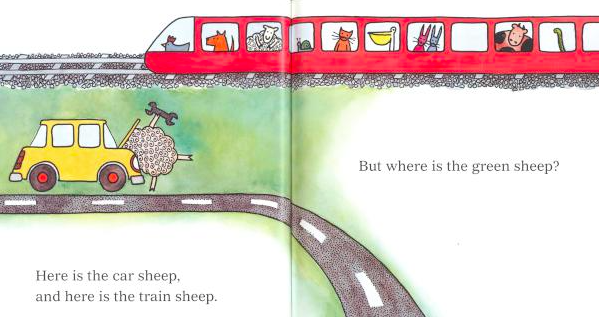 by Eric Carle. 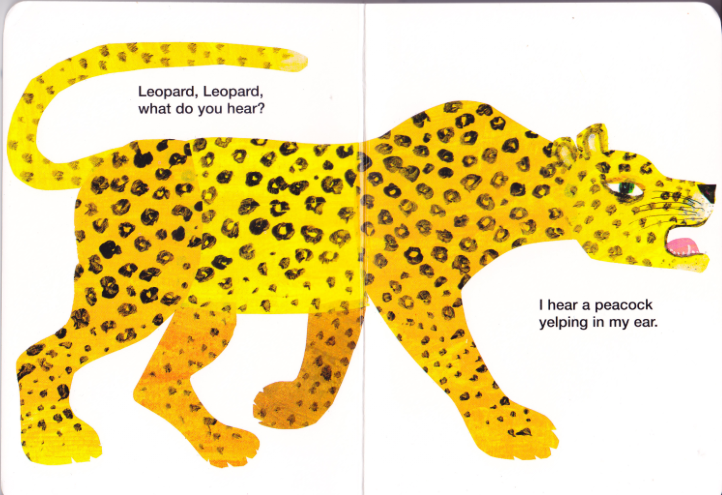 Eric Carle is best known for “The Very Hungry Caterpillar” and “Brown Bear, Brown Bear, What do you see?”. 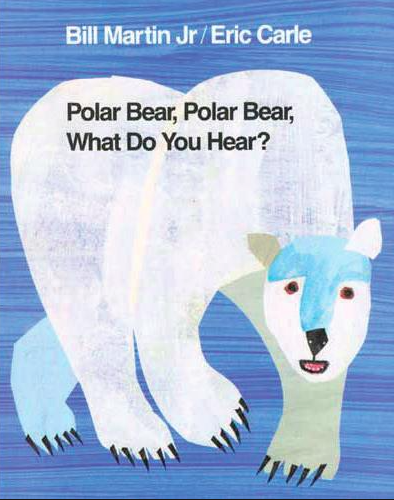 Polar Bear, Polar Bear, What do you Hear? is a twist on the later book. It has lots of interesting animals that you child may be a little less familiar with. If your kid loves Brown Bear then this one is sure to be a hit too. 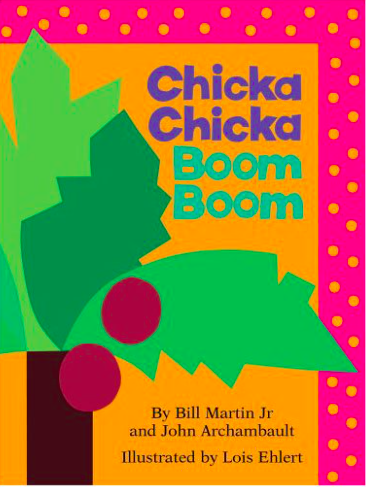 “Zoo animals from polar bear to walrus make their distinctive sounds for each other, while children imitate the sounds for the zookeeper.”Click her to purchase from Book Depository. 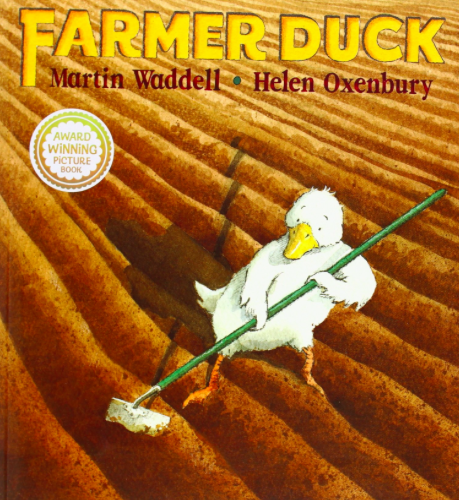 Coming in a number 5 is Farmer Duck by Martin Waddell. 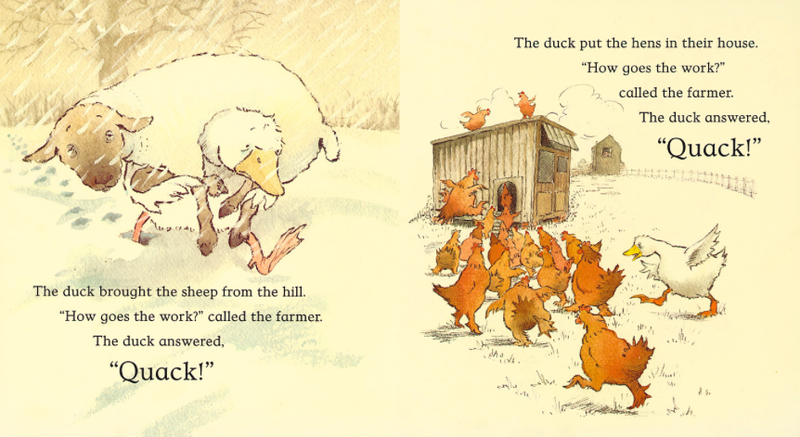 Martin Waddell wrote the much loved story “Owl Babies”. Click here to purchase from Book Depository. I hope that you have all managed to find a storybook to add a Christmas Stocking! Check back next week for even more reads. This time I will be focusing on 5yrs+. I will also do a blog post on my favourite Christmas Themed books. 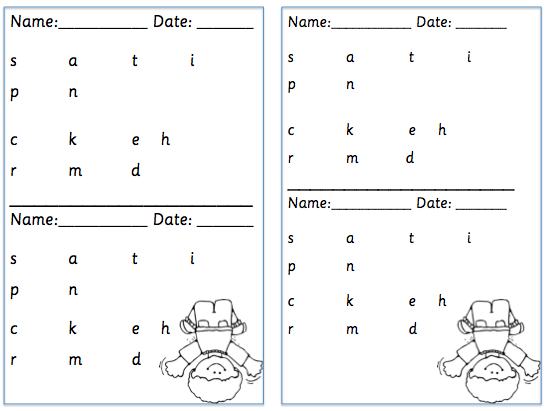 Click here to download my Record Sheet that accompanies my Jolly Phonics Checklist. Check back over the coming weeks to download the rest of the set!!! 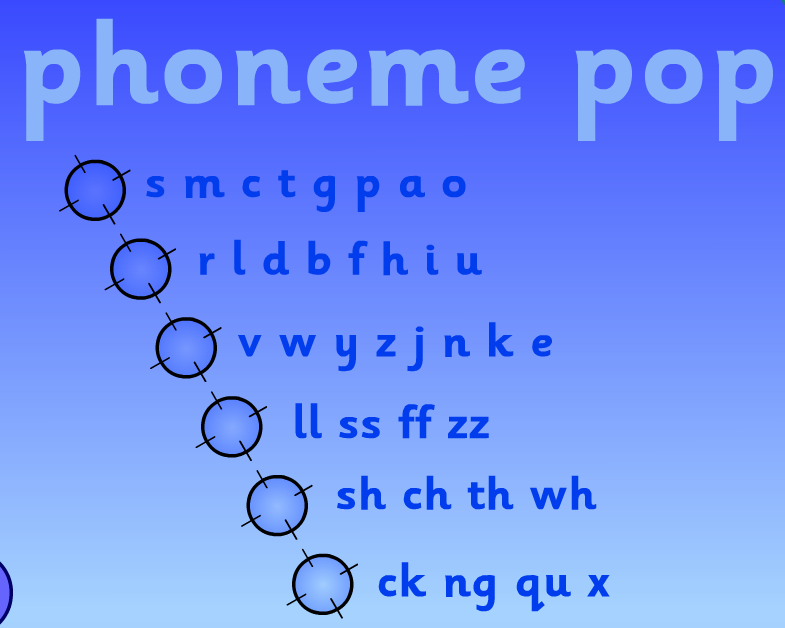 Here is another fantastic phonics resource: Phoneme Pop. Again, it will be useful for those of you that are not familiar with phonetic pronunciations. Simply click on a level of your choice. You will be told which “phoneme” you are targeting. It’s “c” in the example below. Unfortunately, Phoneme Pop doesn’t follow the Jolly Phonics teaching order. It does, however, include digraphs. Jargon Buster: Digraphs are actually pretty simple to understand. Thank of it this way: 2 letters that come together to make one sound. When these 2 letters are combined they make one sound “shhhhhhhh”e.g shop, ship, rush…. Sh is a digraph. 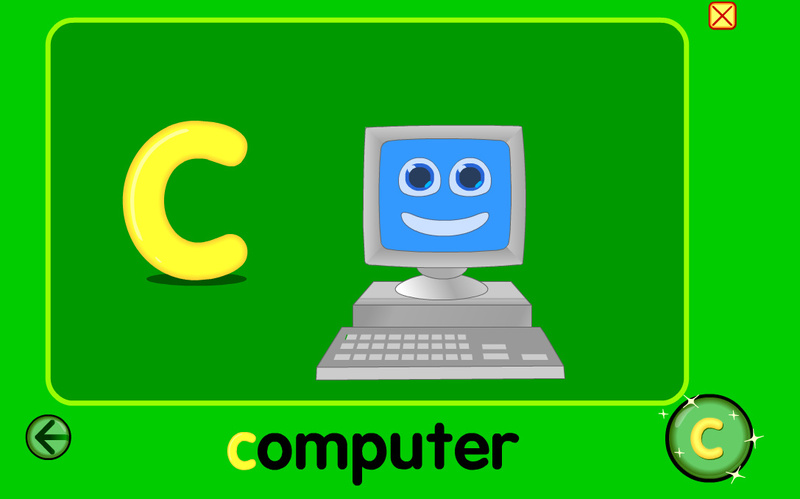 Click here to play Phoneme Pop. I wanted to share a fabulous website with you for alphabet names and phonics. I used this site everyday when teaching Junior Infants. 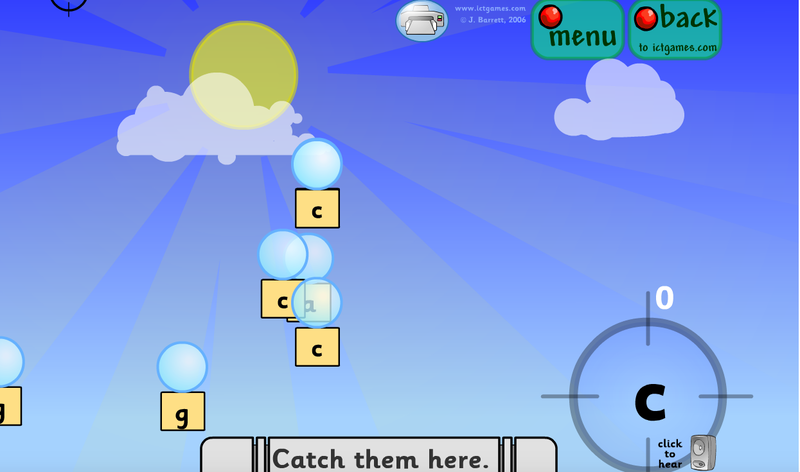 Starfall.com is simply an amazing and free phonics resource that should be part of your repertoire! 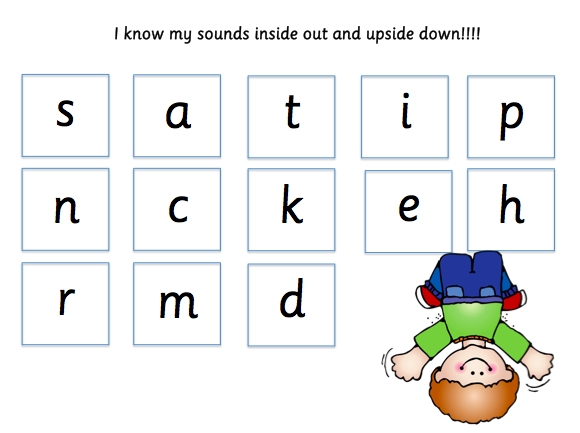 If are a parent who is unsure of phonetic sounds then you can click and play too. Try and keep a sound grouping ahead of your child so that you can support him/her. I love that Starfall.com puts you in control. You can decide what letter to practice from A-Z. 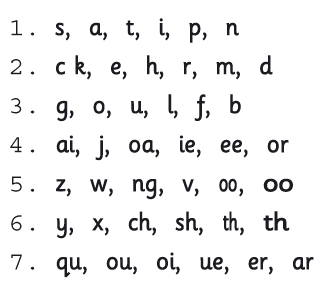 This is particularly useful as many phonics schemes, including Jolly Phonics, introduce phonetic sounds in a non-alphabetical order. 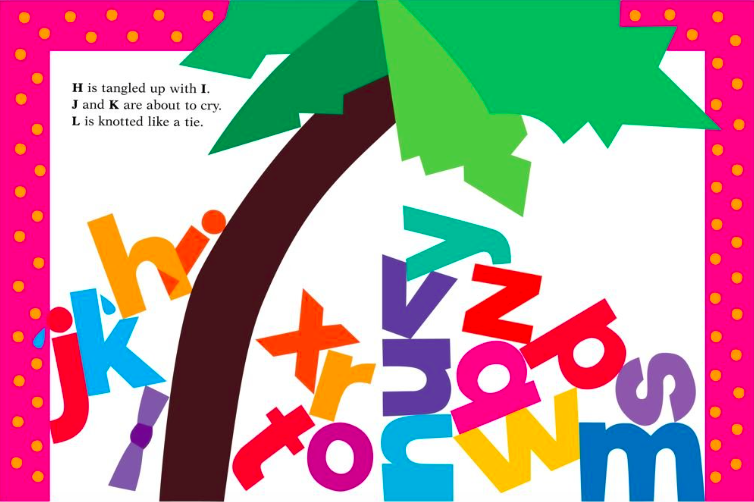 Jolly Phonics introduces, for example, s a t i p n as the first group of letter. For those of you following Jolly Phonics the image below shows the order of introduction. Click here for a link the the Jolly Phonics website for further information.